Too funny. 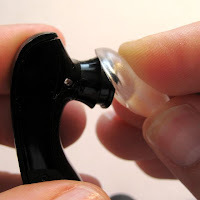 At 6:30pm I Googled "New Jawbone" and "earpiece" or "earbud", hoping to find instructions to do exactly this. Took 1 minute to retrofit my New JB to my old Jabra earbud. Works like a charm. Thanks! I just wanted to let you know how much I appreciate this little tutorial. It makes a world of difference. I can finally appreciate my Jawbone II a lot more. 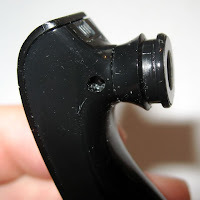 What I also found out what works is keeping the smallest OEM Jawbone II earbud on and putting Jabra's regular eargel over it. It's actually a little more comfortable than the minigel but doesn't fit as snug. It still stays on fairly well pulling it in and out of the pocket. Thank you man. This worked for me as well. I will probably not return the unit now. Funny-eared people unite!!! :-D This is just what I was looking for. It is not difficult to make this change, but your fine photographs help make sense of the MiniGels. 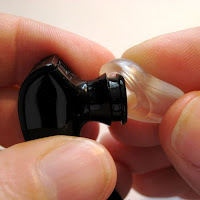 The MiniGels have made a ho-hum experiece with the Jawbone ii into an exceptional experience. The sound is less tinny and much louder. Thanks for the excellent info. Thank you so much for this. The original equipment for the Jawbone 2 did not fit my ears at all. It kept moving around and was not snug. It was to the point where I would have to hold it sometimes in order to speak. It took me one minute to order the piece, two days to get it, and 10 seconds to attach it. Thanks so much for this; however, i tried it and the ear gel came out to be too.."thick". 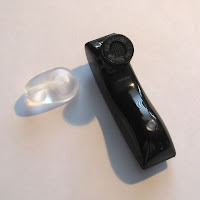 The gel made the jawbone no longer able to rest against my cheek because it created an angle..did you have this problem? hoe do you think i could fix it? 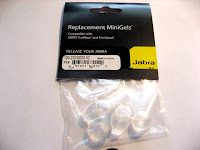 Some packages of the minigels will have 2 different sizes of gels. The longer one pictured above and a shorter stout one. 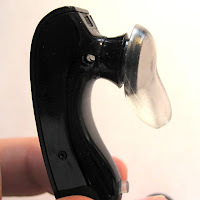 I have to use the shorter stout one for my ear and the Jawbone II to fit properly against my cheek without moving. No more issues! Will the minigels fit on a Blueant z9i?